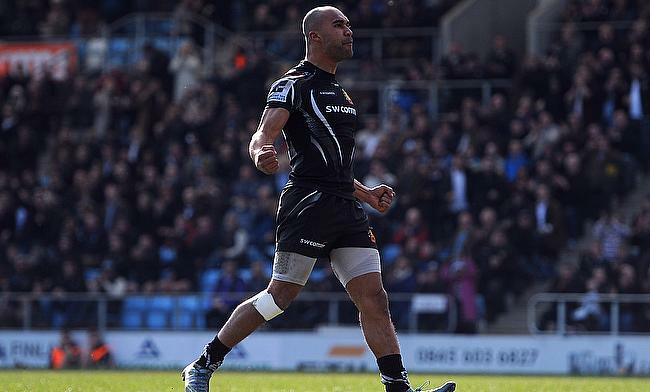 Exeter Chiefs became the first team to secure a play-off spot in the ongoing Gallagher Premiership season following a 29-10 win over Bath Rugby at Sandy Park on Sunday. The win means Exeter now have 71 points which is nine more than second-placed Saracens while Bath are at seventh place with 39 points. The opening eight minutes saw Rhys Priestland and Joe Simmonds trade penalties. Olly Woodburn thought he scored the opening try but was ruled out but by the 15th minute Nathan Catt dotted down followed by a Priestland conversion to make the scoreline 3-10. The scores were once again levelled by the 26th minute when Ollie Devoto powered over the line after a pass from Simmonds, who also improved it. Just as the half-time was approaching, Exeter got their second try through Jack Yeandle in the 38th minute and Simmonds slotted the extras to make it 17-10 at the end of the first half. In a tight third quarter, Bath eventually succumbed to pressure when replacement Beno Obano was sin-binned for collapsing a scrum and to make things worse a penalty try was awarded to Rob Baxter's men as they stretched the gap to 14 points. and Woodburn ensured they claimed the bonus point with the final try of the game coming in the 75th minute to complete a 29-10 victory.